Home Shimla Which is the best time to visit Shimla? Shimla is the capital city of Himachal Pradesh. It is located in North India and is a tourist hub. The best part about this destination is that it is a tourist spot throughout the year. You can access this destination for holidays during any season, and it will never cease to surprise you. The city accommodates many visitors from the country and across the world every year. People love to visit this destination during summer to beat the heat and indulge in the serene beauty this destination offers. The city offers tourists various adventure sports options like skiing and ice skating. In terms of climate Shimla has the best weather during all the months of the year. However, as a tourist, you can choose between the seasons and plan your trip accordingly. This charming city thrives tourism during spring-summer which begins in March and ends in June. It is pleasant during that time as the temperature is around 20C which makes it a perfect excuse for people across the world to travel here to escape from the harsh summers. During winters, November to February, the climate is freezing. The city faces snowfall, and the areas will be covered with snow all around the surroundings. However, monsoons, i.e., from July is not recommended as the region receives heavy rainfall. The weather bounces back to normalcy post-September. The city experiences snowfall occasionally from the mid of December till the end of February. Adventure sports activities are promoted during this season. Tourists try their hands on trekking, paragliding, skiing and ice skating during this season. It is located on Jakhoo hill and is dedicated to the deity Lord Hanuman. The temple has a 108 feet tall statue of Lord Hanuman that attracts people from all over the place to come to the pay respects to Lord Hanuman. The temple is located at the highest peak of Himachal Pradesh. The hill is famous for trekking and monkeys can be spotted around. Locals and tourists across the world celebrate this festival. It is a 10-day long affair where the entire town comes together to celebrate culture and heritage. This festival is celebrated every year in May or June. It is done to mark the arrival of summer. The festival hosts local talents and artists from the country. The artists mesmerize the audience with the skill they showcase. This is one festival which sees a potpourri of talents presented in a nutshell. Apart from performances, there are various contests conducted which help the locals showcase their talent concerning photography, dance, fashion, theatre, art to celebrate the culture of Himachal Pradesh. This festival pumps the crowd with an adrenaline rush of the Olympics. The carnival almost lasts for a month and marks the first kicks of snowfall. The capital city offers locals and tourists an excellent scope for outdoor sports activities. There is a rink installed segregating the ages. People enjoy showcasing their talent in sports. At the carnival, you can also spot people in attires promoting the culture of the state. It is a treat for the eyes to witness this cultural affair which depicts so much about the country. 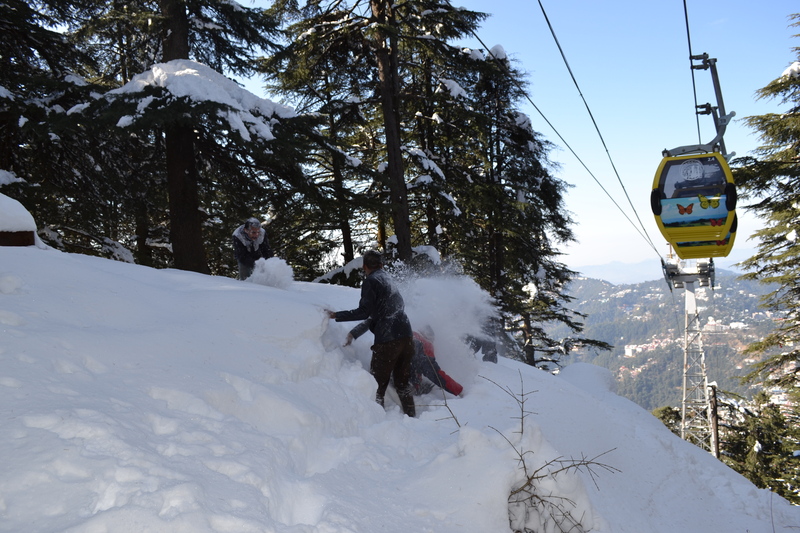 Previous articleWhen does Shimla receive snowfall?